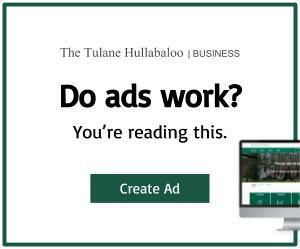 About a year ago, I had the privilege of being elected as The Hullabaloo’s 2017-18 Editor-in-Chief. In the months since, I have been immensely proud to oversee our staff of talented students, manage our content and coverage, and work to serve and inform you, our readers. 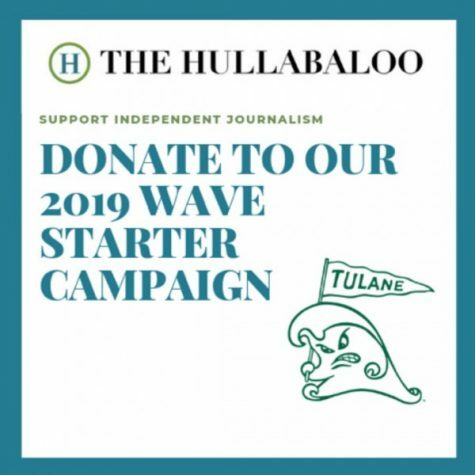 But perhaps the most important responsibility I have carried out in this position is the facilitation of the election for our next Editor-in-Chief and ensuring the future success of Tulane’s first and premier student-run newspaper. On Sunday, our Board elected Canela Lopez to serve as The Hullabaloo’s 2018-19 Editor-in-Chief, and I could not be more proud to pass the reigns off to someone I know will propel The Hullabaloo into the future. Canela joined The Hullabaloo as part of our 2015 Summer Journalism Experience cohort and has since served as Associate News Editor, News Editor, Intersections Editor and Managing Editor. When Canela first stepped foot into the Hullabaloo office, it was, admittedly, a less than inclusive space. Canela worked tirelessly to promote diversity and representation in both our coverage and our staff, and in December of 2016, they created Intersections and became the section’s first editor. Intersections has certainly brought new perspectives to The Hullabaloo’s content and office. Additionally, it has also pushed all of us to rethink our role as a historically white and homogenous publication within a rapidly changing campus and global climate, and to reimagine the power and reach of our words and voices. Canela’s impact on The Hullabaloo reaches far beyond Intersections, and as Managing Editor this year, they have inspired our staff members to push themselves as writers and as leaders. Canela has undoubtedly already left an important mark on The Hullabaloo, and I’m excited to see all the ways in which their experience, expertise and passion will drive progress in this publication and organization that has come to mean so much to both of us and to the dedicated staffs that elected us. Ultimately, Canela loves The Hullabaloo not simply for what it is, but for what it has the capacity to become. They see the potential that our voices have to amplify the unheard, to highlight the unseen and to represent those who have not always been given the coverage or the bylines they deserved. Regardless, and in spite of existing structures, barriers and echoes of “I don’t know if that’s possible,” Canela will not only fulfill all of the obligations that the position of Editor-in-Chief demands of them. They will also unrelentingly demand more of it. To read more about Canela’s personal experiences becoming a leader on The Hullabaloo, read this week’s coverage in Intersections.